The customer wanted this ukulele designed with a few elaborate choices but wanted me to keep all the elements subtle and this gorgeous instrument is what we ended up with. 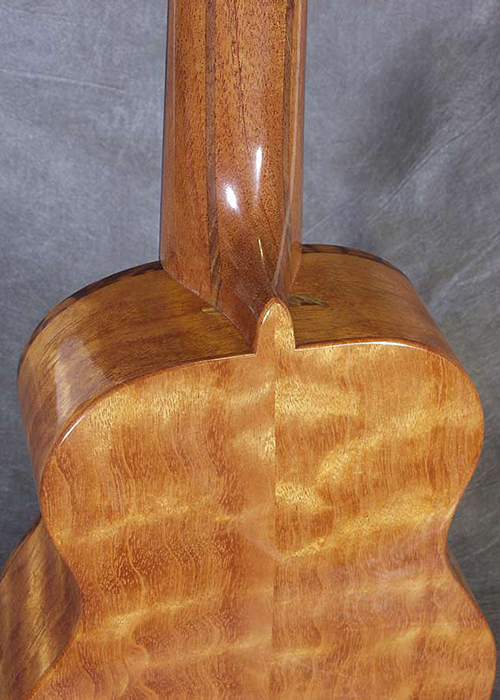 The soundboard is Western Red Cedar inlaid with a koa ‘moustache’ at its lower edge. The body is quilted Honduran Mahogany. 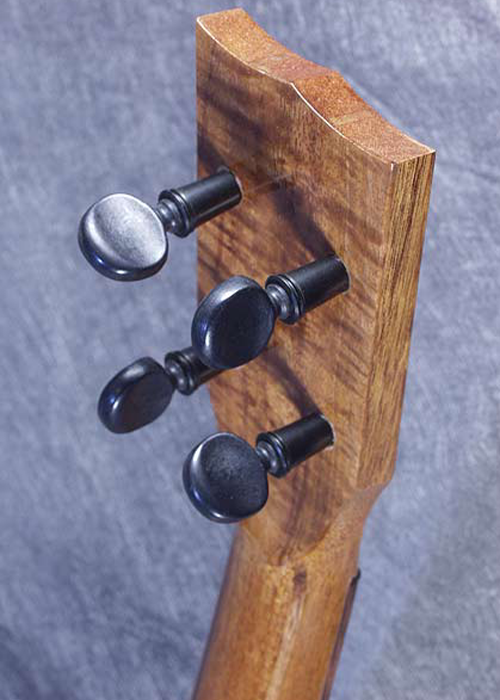 The edge binding is Snakewood as is the soundhole rosette. Particularly cool are the koa stripes dropping down the back of the mahogany neck and terminating into short ‘brushstrokes’ onto the body.